Forty-Four Years Ago Today. We Need To Go Back. The space program was a magnificent achievement not just of America but all humanity. Gene Kranz tells the story of how he, a former Air Force test pilot, was tossed feet first into the early days of Mission Control in the early days of the Mercury Program. His career as a flight controller began with a “four-inch flight,” a Redstone missile barely moving on the pad before shutting down, to landing the first humans on the moon to bringing home Apollo 13 after an explosion in space. It was an amazing time, and the astronauts gave their props to their Russian counterparts, taken the names of the fallen in the space race to the moon, including three cosmonauts who died in orbit mere weeks before one lunar mission. Kranz relays the highest of highs – Glenn’s mission as the first American to orbit the Earth, Armstrong on the moon – to the lows – the loss of the Apollo 1 astronauts on the pad during a test, the premature end to the moon program. Through it all, we are shown a dedication to one purpose not seen again until the computer and Internet startups of the 1980’s and 1990’s. This is the second Giuliano bio I’ve done on audio. Unfortunately, it’s one of those rare books I couldn’t find an Amazon link for. Giuliano looks at the Stones, giving their story from the beginning in 1962 to about 1989 or so, when they began touring for Steel Wheels. Unlike his bio of George Harrison, which I reviewed a few weeks ago, Giuliano is a lot more even-handed in reviewing the Stones’ history. He is most detailed about the band’s early days, and offers his own assertions on the death of founder Brian Jones. He comes right out and says Jones was murdered (though not by the Stones as some conspiracy theorists would have you believe) but stops short of naming names. Barely. He glosses over the seventies, stopping long enough for Ronnie Wood to join the band in 1976, then ends with the tumultuous late 1980’s, bringing the rift between Mick and Keith into sharp focus. His depiction pretty much echoes Keith Richards’ account of their tiff after Undercover and Mick’s abortive solo career. 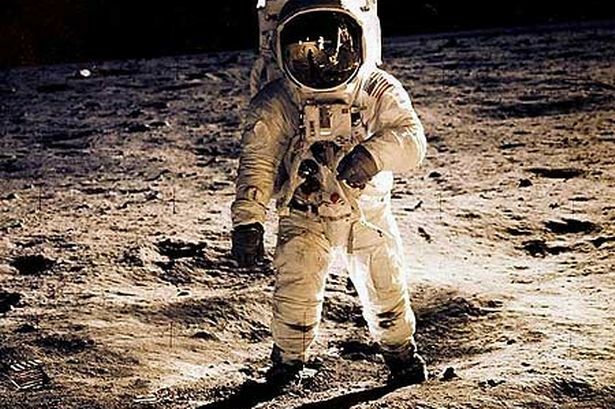 My earliest clear memory is of Armstrong stepping off the ladder onto the lunar surface. It’s time we go back. 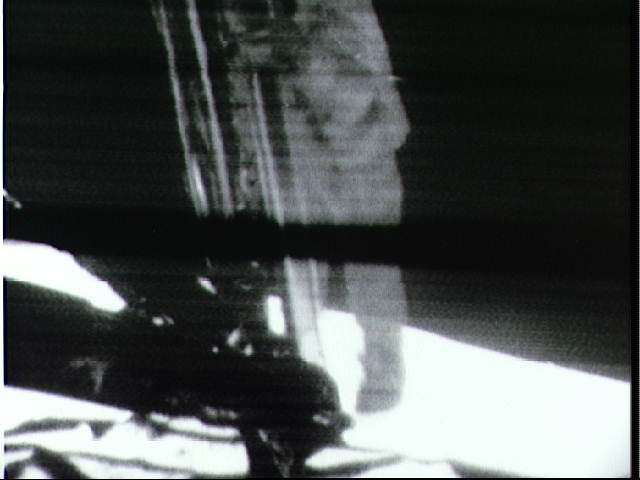 Forty-two years ago today, I sat in front of a small black and white Crosley television while my parents and two uncles watched the grainy images beamed over NBC from the Sea of Tranquility. I was only three, but it’s my earliest clear memory. (Which means I was at Woodstock, which was three weeks later, since I don’t remember it.) So my recollection begins the moment man set foot on another world for the first time. I don’t remember Buzz Aldrin coming out of the lunar module later. I only remember that fuzzy image of Armstrong coming down the ladder, talking with Houston about the surface outside, then uttering those famous words, “That’s one small step for man, one giant leap for mankind.” Though I was a toddler too young to quite understand how two guys got all the way up on the moon, why I couldn’t see them when I looked outside, or why the lunar module didn’t look like the rocket we watched blast off a few days earlier, the first ever moon landing still made an impression. It sparked a long obsession with science fiction. It sparked a lifetime interest in all things space. It pretty much defined my childhood. It’s always bothered me that we didn’t press on. Then again, the 1970’s were a decade of cynicism that exceeded even this decade. A nation beleaguered by Watergate, a failed war in Asia, gas shortages, inflation, and a Cold War dragging on too long had no appetite to boldly go. Perhaps if the Cold War had thawed much sooner, we might have returned in the eighties. Instead, we got the space station, a magnificent engineering feat in its own right, but hardly inspiring to the general public. It’s hard to get excited about the space program these days. The last space shuttle mission is history. Hubble is in its waning days. Astronauts now have to hitch rides with the Russians to get into orbit. The government wants to go to Mars and has made that a priority. And President Obama has thrown the mandate for manned space flight to private industry. Both are exciting in and of themselves, but the public is not going to forget the deficit and two wars until someone shows them something. So until something appears that shows us how to look forward, we can still look back to that night 42 years ago and know what’s possible. This originally appeared the week of July 20, 2009. Since the 42nd anniversary of the moon landing is this Wednesday, I decided to repost this sketch of Apollo 11 commander Neil Armstrong. 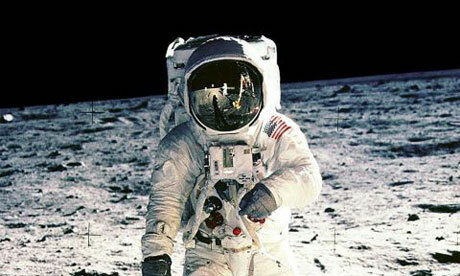 Today is the 40th anniversary of the Apollo moon landing. What’s this have to do with Cincinnati? Well, the first one out of the lunar module was current Indian Hill resident Neil Armstrong. Hopefully, we will be returning to the moon in a few years. And we’ll have company. It’ll be fifty years between the last landing and the next one, a half century wasted when we could have exploited existing technology to find the moon’s true potential.